★★★★★ (4.5/5) Free US Returns & Exchanges. All our cuts feature size-matched inseams. 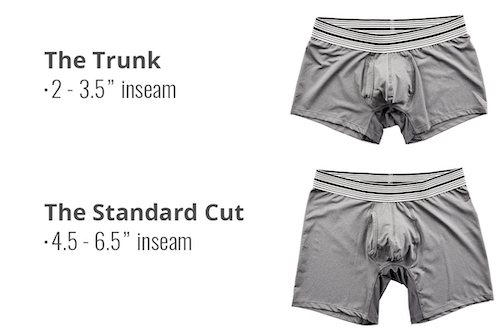 With an inseam of 2-3.5″ depending on the size, and a short rise, the trunk cut hides under almost anything and provides a snug and supportive fit without feeling constrictive. Designed to match the length of a “standard” boxer briefs you might experienced in the past. They feature a traditional rise with a size-matched inseam ranging from 4.5″ to 6.5″, depending on your size. Roomy pouch shape gently lifts your package to reduce skin on skin contact. Life changing, adjustment free comfort. Hidden vents provide cool air flow where you need it most. As you move, air flows in and out keep you dry. To make great, incredibly comfortable underwear, you have to use premium fabrics, so we do. Great underwear lasts. Find any defect in your Mr. Davis, just email us and we'll replace it. We sell direct to you to offer lower prices. Brands with equivalent finishes cost 1.5-2x more. 100 Day Free returns on any unworn merchandise. No questions asked refund/replacement on your first pair. Stretch Bamboo Viscose is 3-4x softer than cotton and much nicer than Modal, which some of our competitors offer (at higher prices we might add). We think it’s the perfect every-day fabric for underwear and our customers agree. Our 110 gsm Polyamide Venting fabric is so air permeable you can actually feel little puffs of air on your nether regions. The air flow helps minimize moisture accumulation. Premium band elastics won’t bind or fold and last for years of heavy washing. All in all, you’ll forget you’re wearing our drawers. You’ll just be more comfortable. All our cuts feature size-matched inseams. With an inseam of 2-3.5" depending on the size, and a short rise, the trunk cut hides under almost anything and provides the most snug and supportive fit of all of our cuts. Designed to match the length of a "standard" boxer briefs you might experienced in the past. They feature the same rise as our mid-cut and a size-matched inseam ranging from 4.5" to 6.5", depending on your size. Your waist size: Your actual waist circumference. 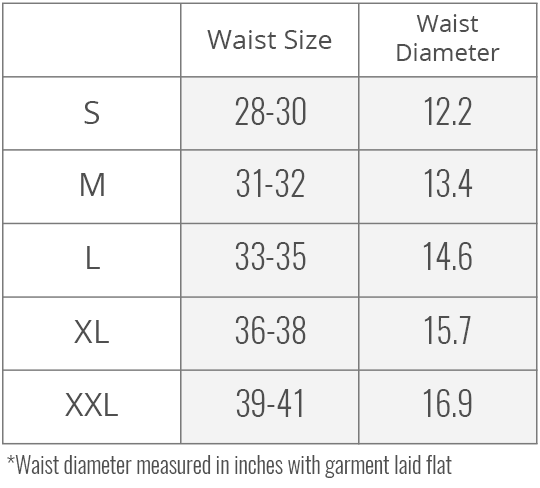 | Your waist diameter: The diameter of each size laid flat and measured. If you don’t love your first pair, we’ll refund or replace it. Don’t miss out on comfortable underwear. If you don’t love your first pair of underwear, Mr. Davis will ship you a new size/style or issue a refund. No return required. Does Mr. Davis offer free exchanges? Are Mr. Davis Underwear Built to Last? Absolutely. We have a motto around here: Buy it for Life. We’re tired of companies making stuff that you have to throw away after a season or two. Our underwear is made from great materials and will hold up very well to every day use. If you follow our care instructions our underwear can last for years. If you ever experience any defect in workmanship outside of normal wear and tear, email us a picture and we’ll replace them. How do Mr. Davis Underwear fit so well? Because we obsessed over the details to get the fit just right. Our underwear are designed to be a little snug but delightfully comfortable, so you get the support you need without pinching or riding up. Our Magical Pouch design gently lifts your package to prevent skin on skin contact, chafing and the need to constantly adjust. Once you try our underwear you’ll never want to go back to normal underwear. How should I wash my Mr. Davis Underwear? Heat is generally the enemy of fabrics and Mr. Davis is no different. We advise you wash and dry on cool if possible. If you don’t, your products will still last, but may fade or shrink a bit.